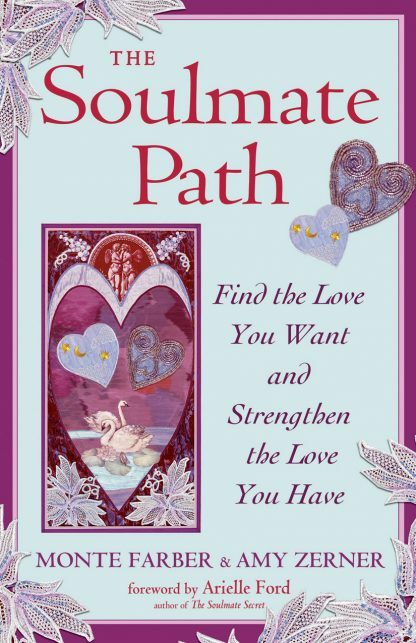 In The Soulmate Path, Farber and Zerner describe the path they walk every day. It�s a path that any of us can walk, whether we�re looking for love or looking to improve the relationship we�re in. In Part One, a moving, insightful, frank, and often funny account, they share their own stories�from meeting and falling in love, to beginning to work together, to dealing with the stresses and challenges that inevitably occur. With every story and at each step of their journey, they offer readers secrets to practice in their own lives. Part Two offers readers 36 lessons to remember when attracting and developing a relationship. Because Monte and Amy are so well-known for their oracles, they also made a way for the reader to consult these lessons to answer questions they may have, following the principle that the Universe gives us what we need. And, in Part Three, the couple share what may be the single most important aspect of traveling the soulmate path�the art of laughter. In all of their work, Monte and Amy create a unique and sacred synergy that heals, inspires, and empowers.